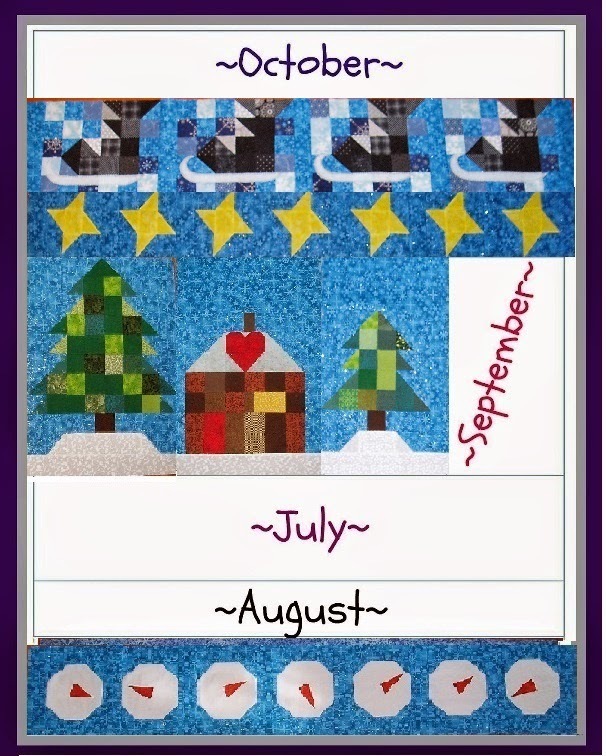 For the June strip of blocks, I decided a patchwork background would add variety. Hi!!!! Yours is looking so pretty!!!! I love the one is bateks too!!!! 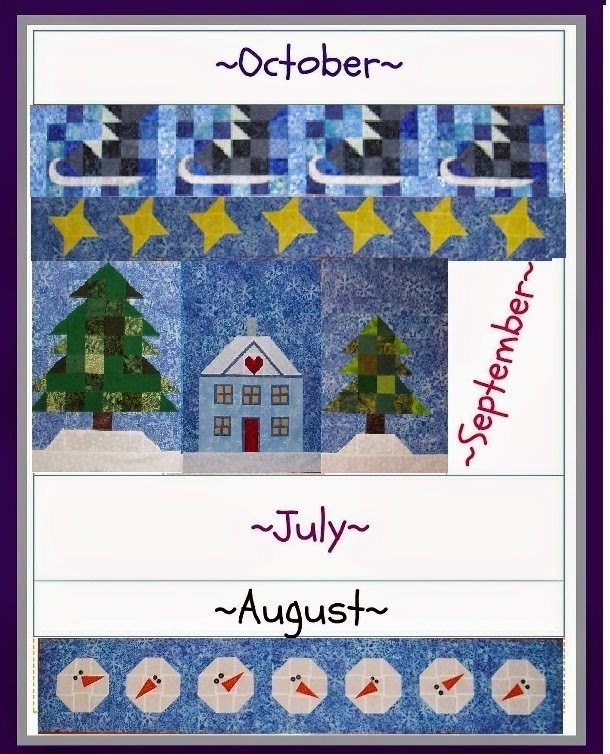 Loving this quilt Sheri! First it was the snowmen, then the tree but the skates?? I can't wait to see the rest!